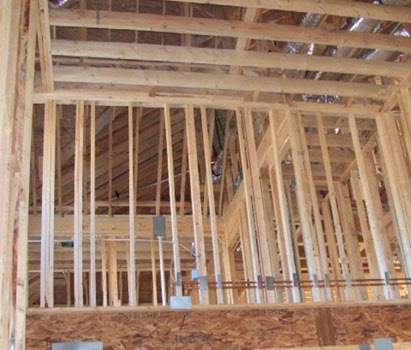 One of the most important factor in a home's structure is the framing. Although every home has accents, details, and design, nothing matters more in a structure than the simple integrity of its construction. When buying or selling a home, it is 100% crucial to have an accurate framing inspection. Here at Stellar Inspections, years of expertise and practice come together to provide you with the best possible framing inspection that you could be looking for. Norman Ellis, our professional Stellar inspector, brings four professional degrees and the same number of certifications to the field. Even more important for framing inspection, however, is his additional experience managing and overseeing construction projects, giving him a more practical insider’s knowhow on the details of framing houses and the various factors involved that would be hard to find elsewhere. From the smallest nick to an imminently dangerous problem, Norman can analyze your framing with the experience you want. Want to find out more about your framing inspection? Give us a call, or fill out the field in the Contact Us page of our website to get a response from our professionals. Or drop by our office in Buford and speak with our experts in person. Don’t wait any longer to get the services you need!